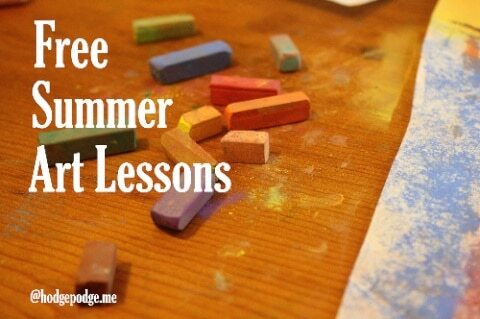 Looking for free summer art lessons? 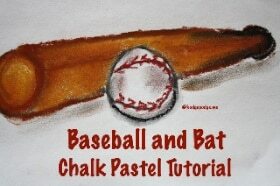 We have several for you, so pull out the chalks or acrylics! It’s back by popular demand! 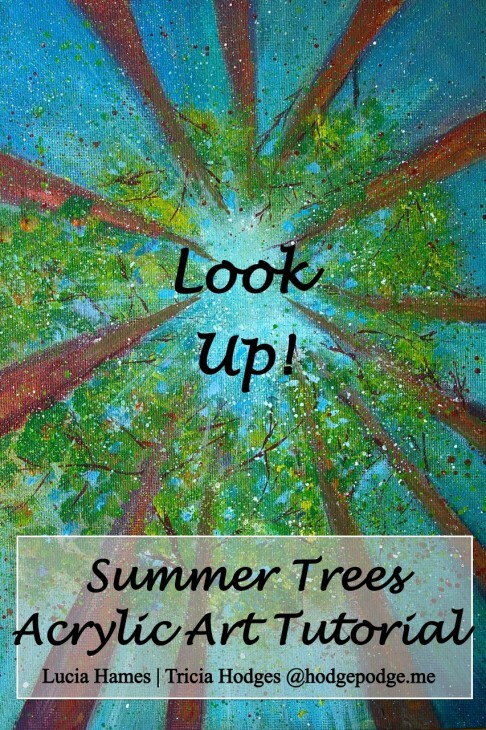 Summer Trees acrylic art tutorial is a lesson in perspective. 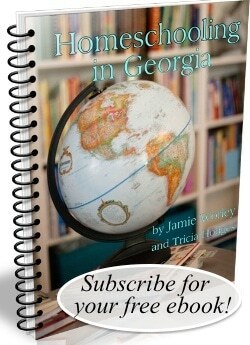 You can imagine lying on a soft forest floor of pine straw and looking up through the trees. We like to think of the paint spatters as lightning bugs (or fireflies as some of you may call them). 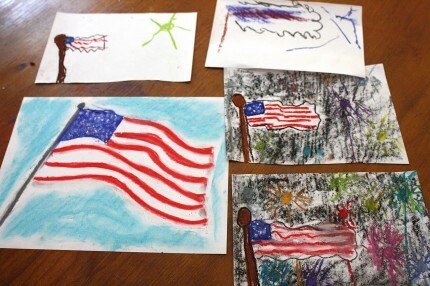 Don’t forget our patriotic art lessons! Which tutorials above have you completed? I’d love to feature you on our Art Tutorials Showcase board! 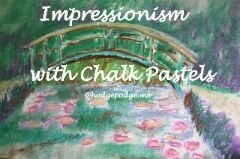 Simply tag @hodgepodgemom on Instagram or Twitter or send me a photo of your completed art via our contact form under the About Us tab.